・Rich Internet Applications Using Flex, Salesforce.com and Google App Engine « Jeff Douglas -- Technology, Coding and Bears… OH MY! ・Developing Flex Applications for Force.com Sites « Jeff Douglas -- Technology, Coding and Bears… OH MY! 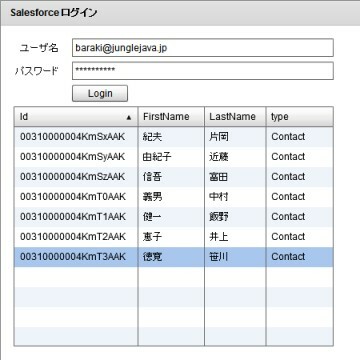 ・Cool Code at Lunch Webinar – Flex & Salesforce « Jeff Douglas – Technology, Coding and Bears… OH MY! ・Developer Preview of the Adobe® Flash® Builder™ for Force.com « Jeff Douglas – Technology, Coding and Bears… OH MY!